Why is Blue Light at Night Bad? Home » Advocacy » Why is Blue Light at Night Bad? New technical capabilities often come with unanticipated challenges. White LED lighting often has much higher levels of potentially harmful blue light. In 2010, IDA published its paper, “Visibility, Environmental, and Astronomical Issues Associated with Blue-Rich White Outdoor Lighting,” detailing the hazards of blue-rich white light sources. In the years since scientific evidence has solidified around its conclusions. The Harvard Health Publications article, “Blue light has a dark side,” describes artificial lighting that emits the blue color spectrum light throws off the body’s circadian rhythm off balance. While not all colors have the same negative effects, research is showing that it may contribute to the cause of cancer, heart disease, obesity, and diabetes. The blue wavelengths emitted by artificial lighting at night, blue lights are actually beneficial during the daytime. Research shows the blue wavelengths put off by the sun during the daytime increases attention, reaction times and mood. All of these benefits during the day are disruptive at night. Concerns about blue light reach far beyond our health. Outdoor lighting with strong blue content is likely to worsen skyglow because it has a significantly larger geographic reach than lighting consisting of less blue. 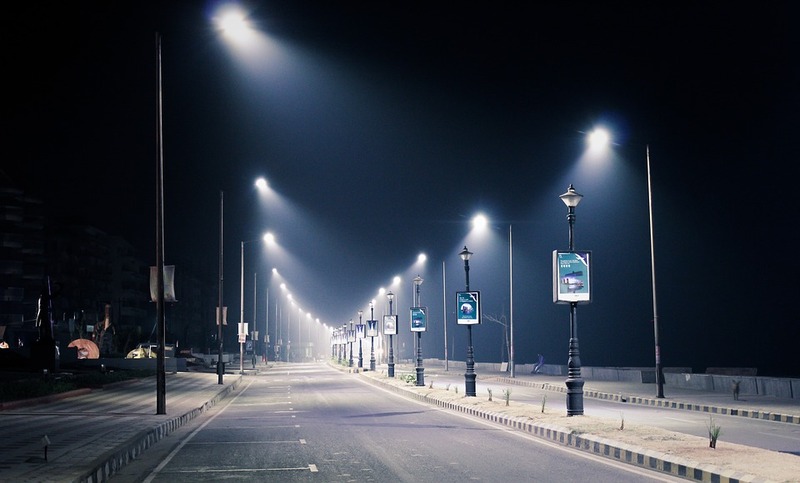 According to the 2016 “World Atlas of Artificial Night Sky Brightness” street lighting and outdoor lighting retrofits using 4000K lamps could result in a 2.5 increase in lighting pollution. Blue-rich white light sources are also known to increase glare and compromise human vision, especially in the aging eye. These lights create potential road safety problems for motorists and pedestrians alike. In natural settings, blue light at night has been shown to adversely affect wildlife behavior and reproduction. This particularly true in cities, which are often stopover points for migratory species. The promise of cheaper outdoor lighting based on electricity and maintenance savings from LED conversion should be weighed against other factors, such as the blue light content of white LEDs. Blue-rich sources are the most efficient LEDs in terms of the conversion of electricity to light, and therefore have the lowest electricity cost to produce a given amount of light compared to “warmer,” less efficient white LED lamps. Every effort should be made to diminish or eliminate blue light exposure after dark. Avoid the temptation to over-light because of the higher luminous efficiency of LEDs. Help us protect our night skies for current and future generations! DONATE NOW! Previous post: 15 Million Tons of Carbon Dioxide Emitted Each Year On Residential Outdoor Lighting in the U.S.